1. 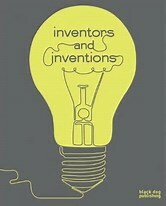 Have you invented anything? 2. If applicable, did your invention or product make it to store shelves? The co-founder of the Stanley Motor Carriage Company crashed his automobile into a woodpile. The first hot air balloonist died while crossing the English Channel. Scientists working in a secret New Mexico laboratory called "Omega Site" received lethal doses of radiation from the core of a plutonium bomb. Bullock's printing press crushed his foot. He then developed gangrene and died during his amputation surgery. The man credited with popularizing jogging died while on a morning jog. A Bolshevik co-founder hoped to achieve eternal youth via blood transfusions but ended up dying from one. Titanic's chief naval architect was aboard the ship for its maiden voyage — he was heralded as a hero. The inventors of the flying Ford Pinto died when the car's detachable wings detached mid-flight. The "Glider King" lost control of his hang glider and fractured his spine after a 50-foot nosedive. An Austrian inventor was testing a rocket when it accidentally exploded and killed him.